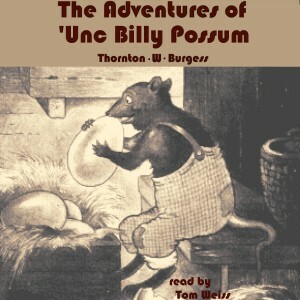 In The Adventures of ‘Unc Billy Possum, ‘Unc Billy is a new arrival in the Green Forest. He finds he is lonesome in his new home. His almost uncontrollable urge for fresh eggs gets him in trouble with Farmer Brown’s boy, and he soon discovers that he has good friends in the Green Forest.